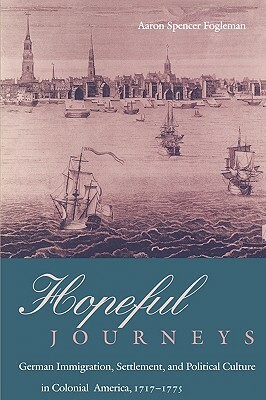 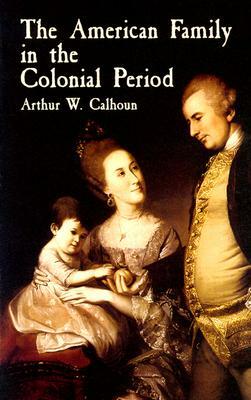 The many different nationalities that settled in colonial America formed a rich mosaic of European cultures: English, Dutch, French, Spanish, and others. 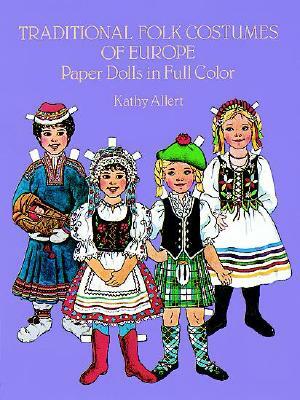 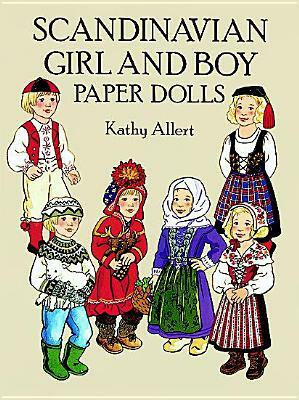 Tom Tierney offers 11 paper dolls that can display 21 outfits, including court gowns, capes, "playne" clothing, lace-trimmed dresses, Cavalier-styled hats, and other splendid European apparel. 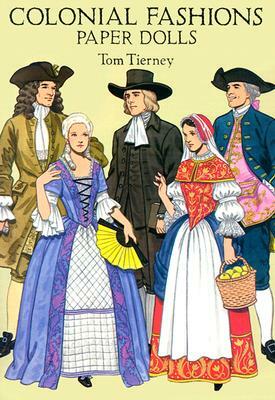 Description: 21 outfits depicting court gowns, capes, "playne" clothing, lace-trimmed dresses, Cavalier-styled hats, plus other splendid European apparel.